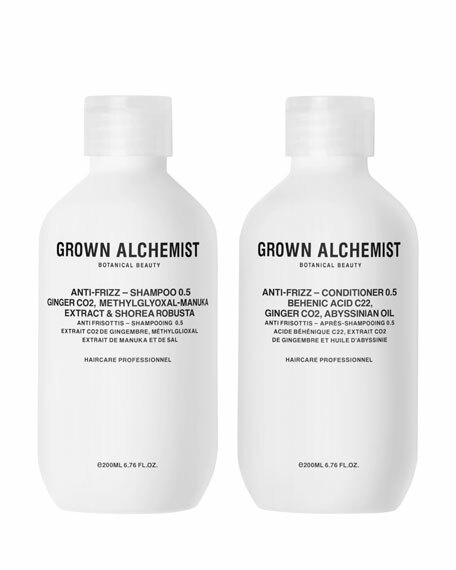 Ginger CO2 Gingerols condition the hair and scalp increasing styling manageability, while boosting strength and damage recovery leaving hair soft and smooth. Shorea Robusta rich in Flavonoids noticeably smoothes the hair cuticle, prevents frizz and reduces curl volume while leaving hair softer and more manageable. Methylglyoxal-Manuka Extract Phenolic Antioxidants condition the hair and scalp, noticeably strengthening and smoothing while increasing resistance to stretching and fly-away, leaving the hair smooth and soft. Hydrolyzed Boa-Bab Protein noticeably increases styling manageability, while increasing the hairs resistance to chemical, UV and heat stress. 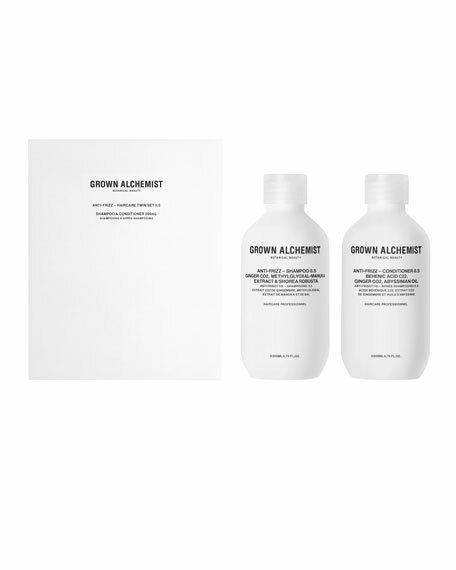 Plant derived Liposomes bond actives to the outer layer of the hair shaft, the cuticle and penetrate into the cortex optimizing the delivery of actives, ensuring healthier smoother hair. Ginger CO2 Gingerols condition the hair and scalp increasing styling manageability, strength and damage-recovery, leaving hair soft and smooth. Behenic Acid C22 Fatty Acids from Pracaxi Oil boosts hydration levels and manageability while significantly reducing frizz and curl volume, leaving hair noticeably shiny, soft and smooth. Abyssinian Oil containing Triglyerides noticeably strengthen, smooth and condition the hair increasing resistance to fly-aways, leaving the hair looking hydrated, smooth, soft and shiny. Hydrolyzed Boa-Bab Protein noticeably increases styling manageability, as well as the hair's resistance to chemical, UV and heat stress. Plant derived Liposomes bond actives to the outer layer of the hair shaft, the cuticle and penetrate into the cortex optimizing the delivery of actives, ensuring healthier, smoother hair.